It had been a while since I evaluated wines in such a rigorous and detailed manner. What I appreciated about the group of judges, winemakers, and our hosts was the laid-back and collegial atmosphere. I could not imagine a less stuffy (yet serious) wine event. 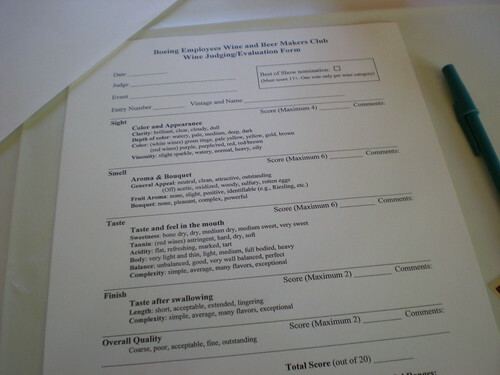 The judging took place in a members home; the kitchen, living room, and dining room were where we evaluated the wines. Laughter was not only allowed, it was encouraged. It was a pretty warm day and I made sure I was at the table that would be scoring the white wines. 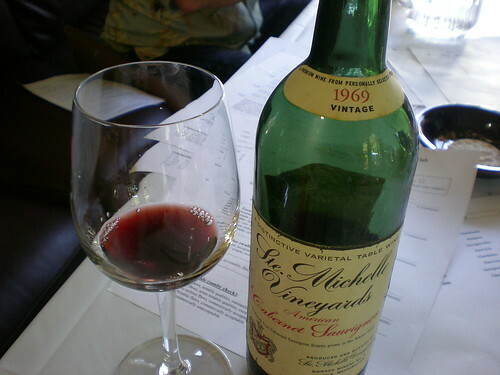 (Although we started out with a salvo of Merlots to even out the number of wines each of the three judge's tables would consider.) 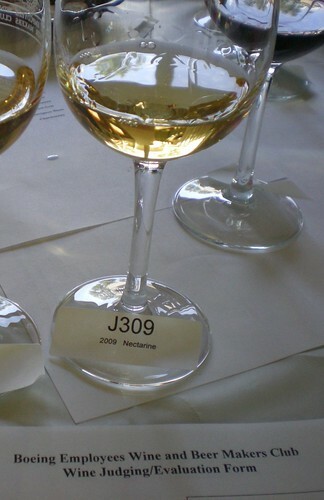 We also had the sweet wines thrown in at the end. So what was my highest scoring wine, the one that I gave an 18 out of 20? Surprisingly, it was a fruit wine. A nectarine wine, to be specific. I thought it would be sweet, but it was actually quite dry; it had enough acidity to mask whatever sweetness was present. It was lovely to smell and drink. I couldn't help but to think how great it would be with spicy Asian fare or fried chicken with a lot of pepper in the crust. And I could drink gallons of it on a hot day! (Or cut it with some club soda. Or add gin. Vodka? Sparkling wine? All of the above?) And as a final bonus, I got to taste one of the oldest bottles of Washington wine in existence! Wow!